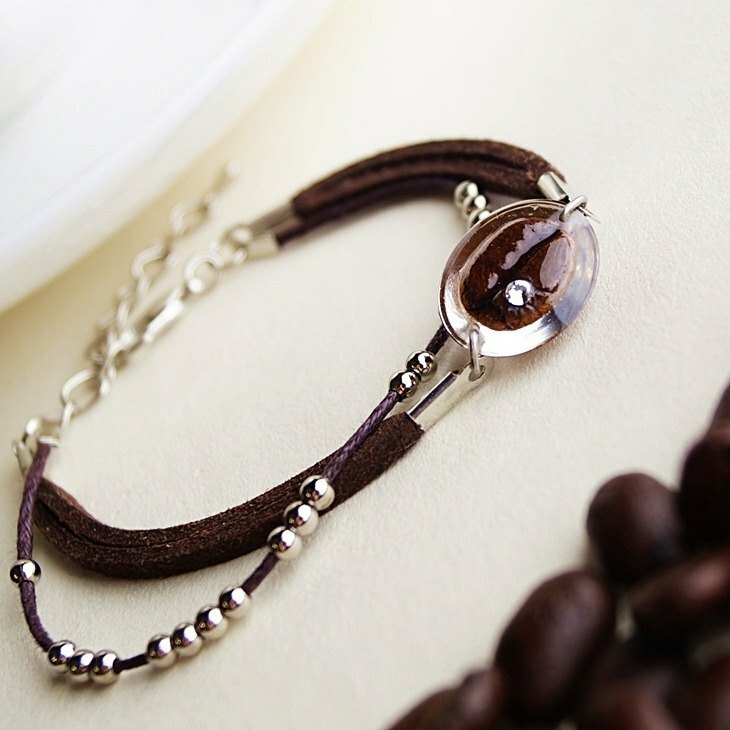 Coffee Bean Bracelet A - Real Coffee Bean Creation Brown "coffee" can not be... The warm and calm color of coffee always symbolizes the most natural depth. https://cdn01.pinkoi.com/product/10sEr1BN/367/500x0.jpg When the coffee beans are combined with the leather cord as a bracelet The natural ripe taste will be distributed without any hidden What I feel will be... completely natural... unique personality... https://cdn01.pinkoi.com/product/10sEr1BN/366/500x0.jpg / Size and material / Material: Real coffee beans + high translucent hard crystal glue (oval spherical) + Swarovski small diamond + Korean velvet rope + hardware accessories (The velvet rope is warm due to the fiber, please don't touch the water) Packing: Handmade color box https://cdn01.pinkoi.com/product/10sEr1BN/368/500x0.jpg Currently, there are pre-set "deep coffee", "light coffee", "wine red", "black green" color can be selected... Please tell Mia to discuss or discuss the hand circumference; It doesn't matter if you don't know the hand circumference. Mia will try to help you predict and set the tightness And will add the tail chain (about 5 cm) Let you give away, even Can also be worn properly Or directly choose to make "preset size", girls can wear 14~16 cm / Use and maintenance methods / The surface is covered with real coffee beans. It is normal for a slight faint coffee fragrance (no fragrance added), So please wipe it with a damp cloth. No need to soak or brush for a long time! Because every coffee bean is unique, So the placement position will be slightly different (you can specify the position or not). Mia will find the most suitable location for the drill!